﻿ «EHZ of technologies» - is a producer and supplier of equipment for electrochemical defence of metals from corrosion. 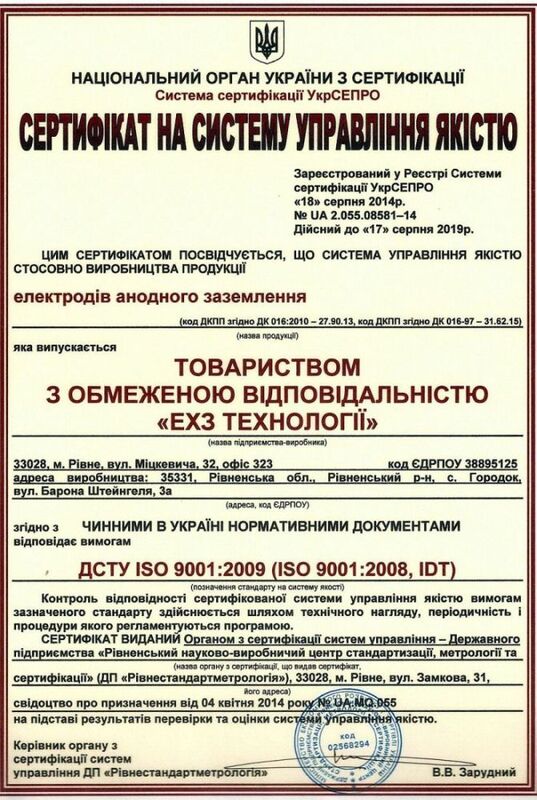 The specialists of OOO «EHZ of technologies» developed unique compositions of electro-conducting polymers (in-use in the production of electrodes of the anodic grounding) which in necessary percent correlation with a graphite, possess the low index of rastvoryaemosti electrode at his high technologicalness. Also we developed and applied in industry high-quality a new contact knot between the anode of grounding and cable due to which practically eliminated possibility of oxidization of contact knot. «EHZ of technologies» - is a producer and supplier of equipment for electrochemical defence of metals from corrosion. 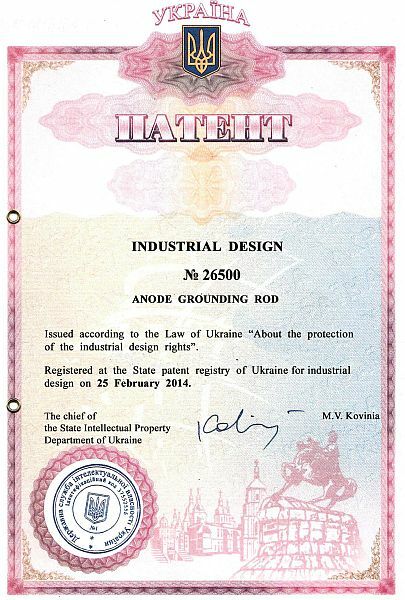 Our skilled specialists have a large experience in setting of anodic grounding and cathode stations over all Ukraine and even abroad. We dispose all necessary equipment for installation of the system of electrochemical defence of pipelines and gas pipelines. ОThe department of technologists constantly works above the improvement of products, promoting its technologicalness and ecofriendlyness. Developing here technological innovations in area of the industrial engineering. The products of our company are patented and suitebale for world standards and also eko-norms of industrial prototypes. «EHZ Technologies» will draw up a detailed draft on the corrosion protection of Your object (wares, details), taking all his specific and terms of environment into account, where he is exploited. They will pick up the effective chart of defence of metal from corrosion and will realize in clear accordance with a project. A company «EHZ Technologies» is aimed at development and improvement of methods and facilities on electrochemical defence of metalloizdeliy.